Besides improving digestion, did you know that yogurt is great for the whole of our body? Hair.If your hair is coarse and fork, mix the yogurt with egg, then apply evenly to hair and massage in order to soak into the scalp. Let stand for 15 minutes while wrapped in a towel that has been moistened with warm water. Afterwards, rinse with cold water and wash usual. Face.To get smooth skin, you can use yogurt mask regularly. 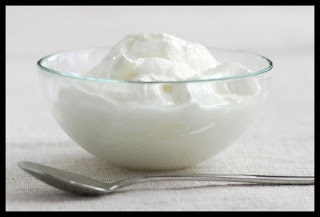 Mixing yogurt with a tablespoon of honey and olive oil, apply on face and neck. Let stand for several minutes, and rinse with warm water. Skin.Scrub yogurt is very beneficial to remove dead skin on our body.